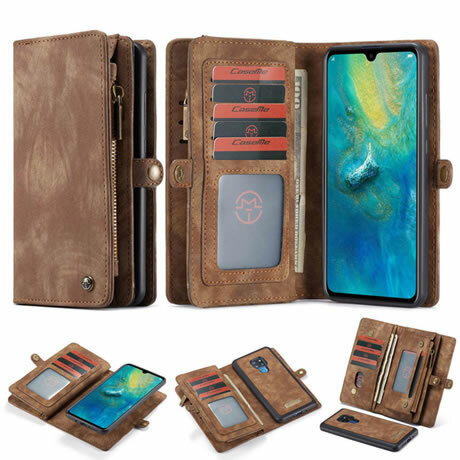 CaseMe Huawei Mate 20 Wallet Leather Case with retro design makes the case look stylish and fashion. 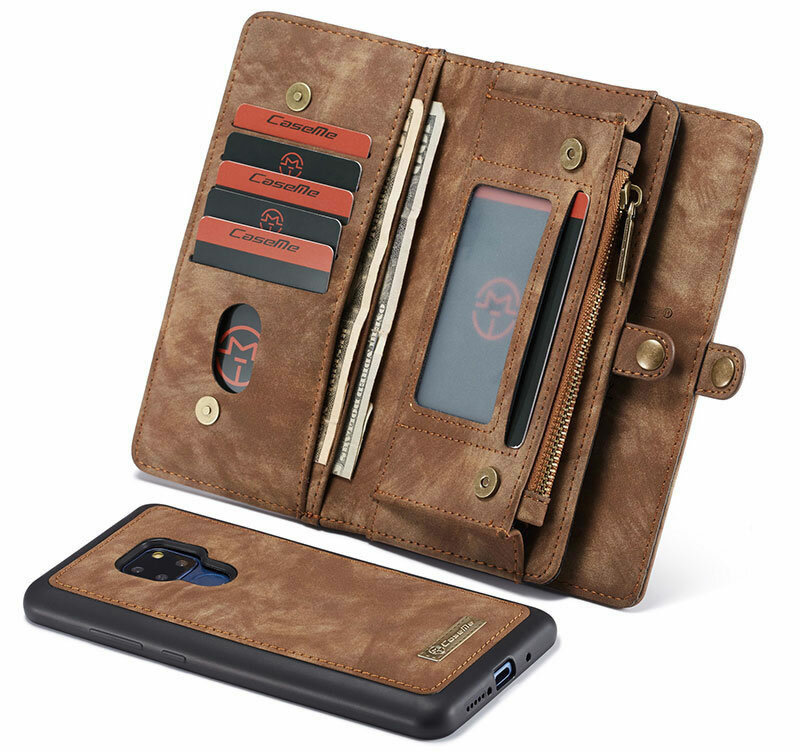 With large capacity, it can hold your phone, essential cards, and cash orderly, bringing great convenience in daily use. 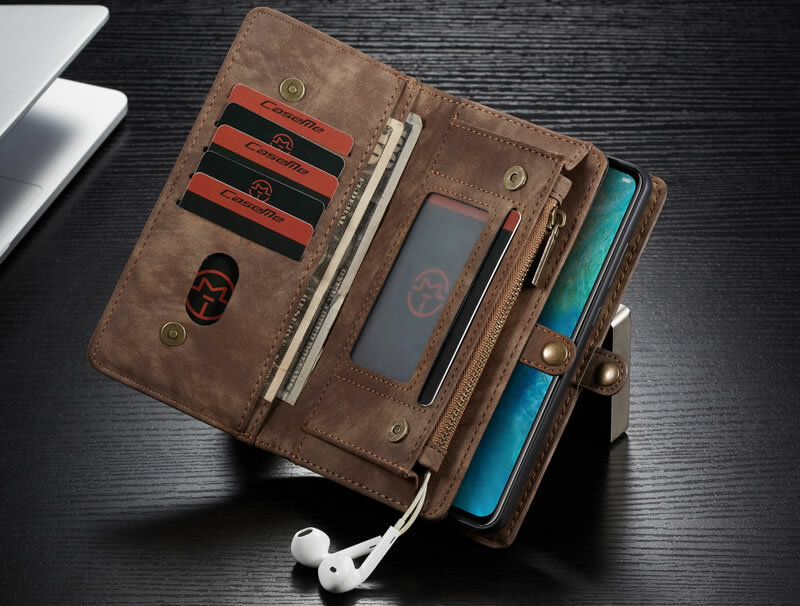 Simplify your life and abandon that bulky wallet when you need to travel. 2. 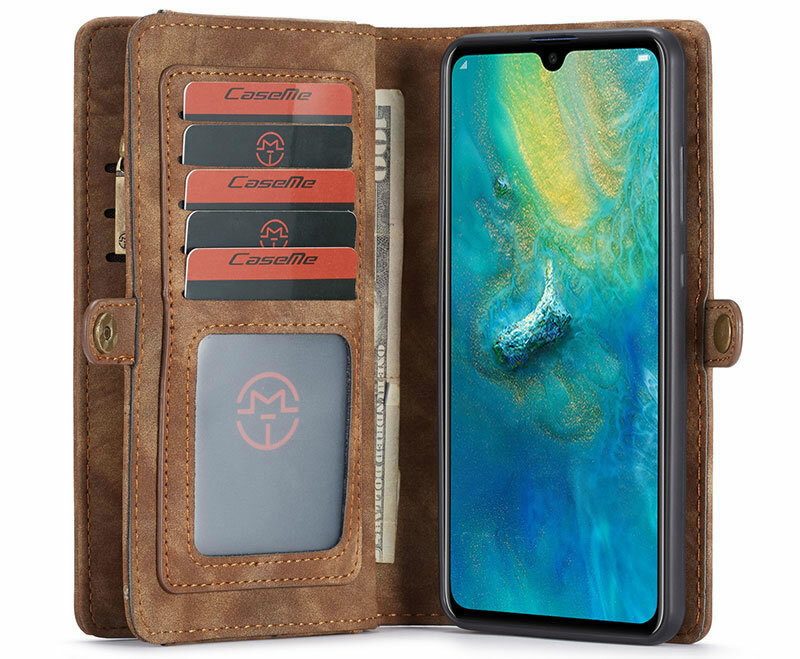 11 Card Slots,3cash Slot and 1 Zipper Wallet. 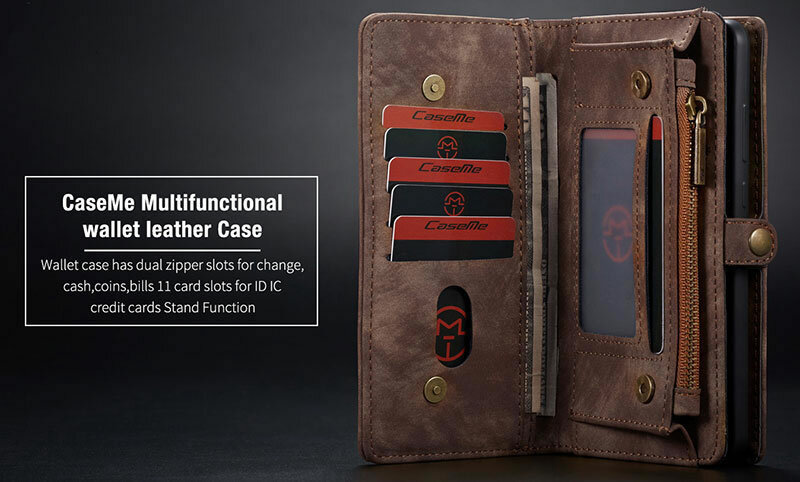 Build-in 11 Card Slots,3cash Slot and 1 Zipper Wallet. 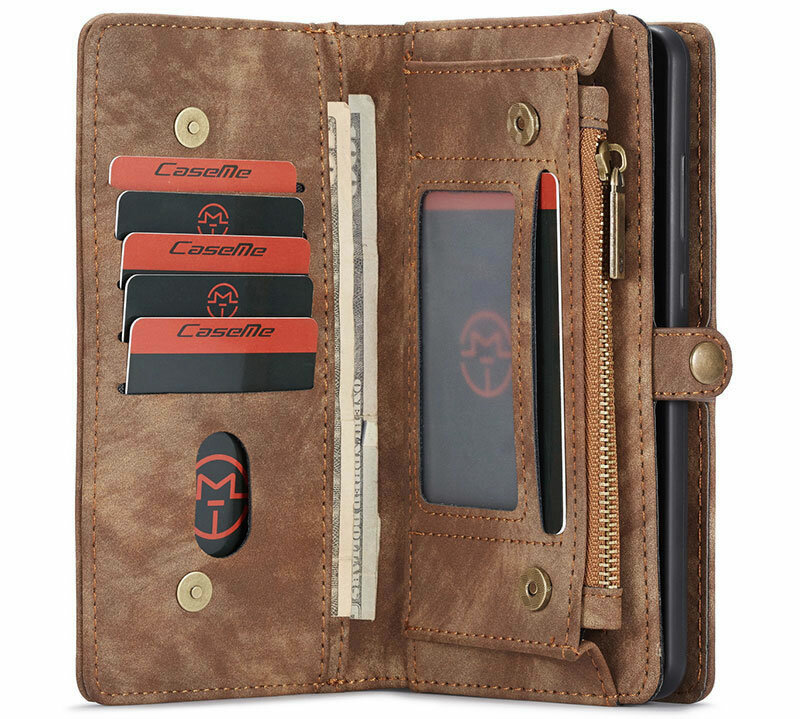 Can Bring and Manage Your Credit Cards, Bus Cards, ID Cards,coin and Cash Conveniently. Extra zipper compartments can carry your keys, some cash or coins, a headphone cord, a phone USB charging line. zipper closure and snap button to make sure all thing stay inside securely. 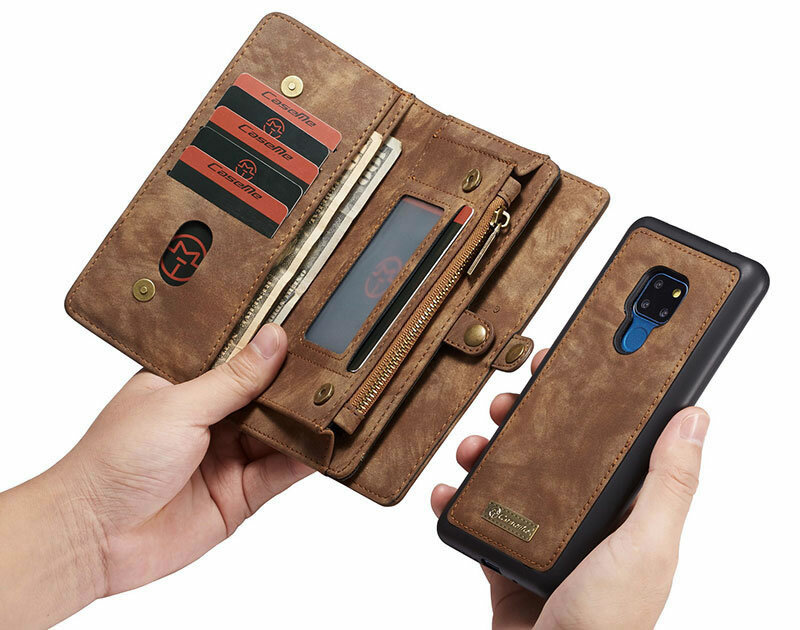 Mobile Phone Case Is Adsorbed By Strong Magnetic, Can Also Be Separated From The Wallet and Used Independently. 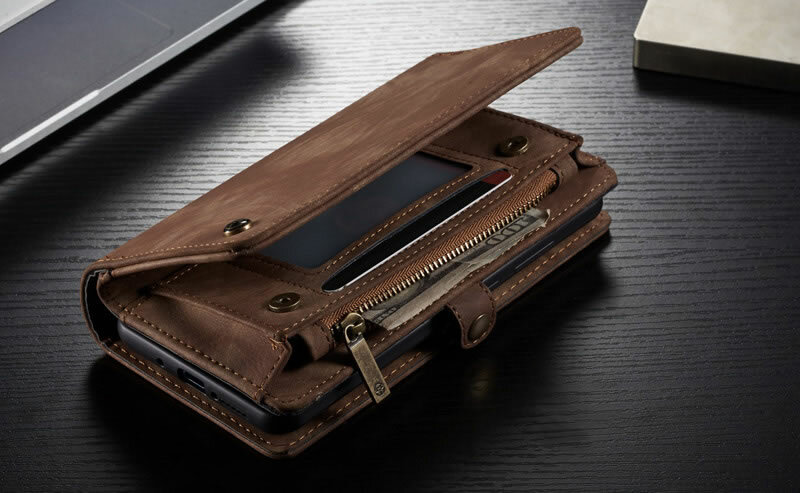 Set a Mobile Phone Case and Wallet In One, It Is Convenient for Daily Use and Stylish. And with Elegant and Refined Appearance. 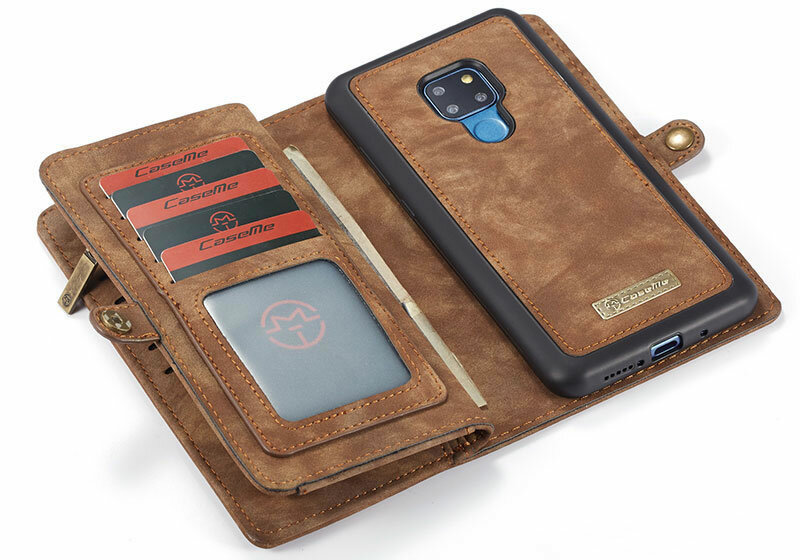 The magnetic snaps keeps the wallet case closed and secure while strengthens the safety for the phone back cover.